Hello, there! I’m back and ready to share this past month’s batch of reads. I’m running a bit behind, so this will come in two parts. Keep a lookout for the next installment sometime next week! Enjoy, and be sure to let me know what you’ve been reading in the comments. I’ve been at it for over a month… and I FINALLY FINISHED!! 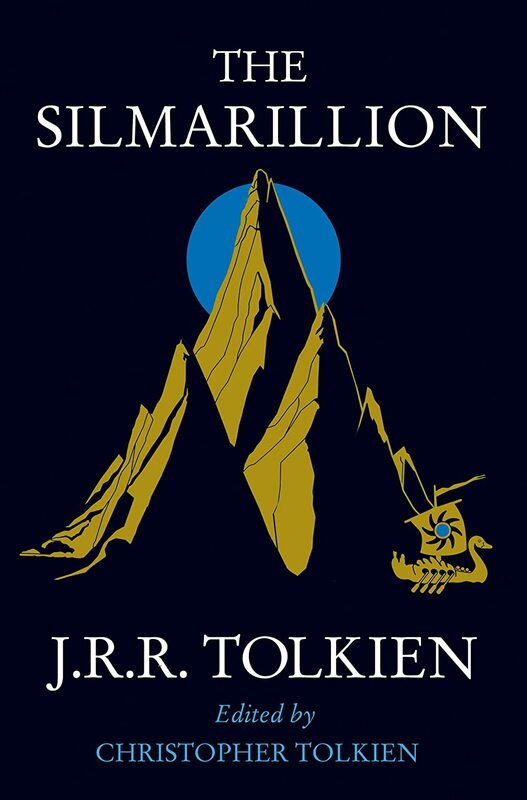 Summary from Goodreads: Designed to take fans of The Hobbit and The Lord of the Rings deeper into the myths and legends of Middle-Earth, The Silmarillion is an account of the Elder Days, of the First Age of Tolkien’s world. It is the ancient drama to which the characters in The Lord of the Rings look back, and in whose events some of them such as Elrond and Galadriel took part. The tales ofThe Silmarillion are set in an age when Morgoth, the first Dark Lord, dwelt in Middle-Earth, and the High Elves made war upon him for the recovery of the Silmarils, the jewels containing the pure light of Valinor. Included in the book are several shorter works. The Ainulindale is a myth of the Creation and in the Valaquenta the nature and powers of each of the gods is described. The Akallabeth recounts the downfall of the great island kingdom of Numenor at the end of the Second Age and Of the Rings of Power tells of the great events at the end of the Third Age, as narrated inThe Lord of the Rings. This pivotal work features the revised, corrected text and includes, by way of an introduction, a fascinating letter written by Tolkien in 1951 in which he gives a full explanation of how he conceived the early Ages of Middle-Earth. The only bad thing I can say about this book is that it’s dense. It took me over a month to get through, simply because the writing takes a long time to plod through. There were weeks where I could barely get through ten pages. But not because it’s bad. On the contrary. The Silmarillion is absolutely incredible. A friend once described it to me as the Bible of Middle Earth and I can’t help but agree. Unlike Tolkien’s most popular Middle Earth texts, this is no novel. It’s a collection of stories that explain the history of Middle Earth. The first chapters focus on creation mythology, explaining how the world came to be and the deities that dwell within it. Then, Tolkien brings us through the shaping of the two main races of Middle Earth: Elves and Men. The majority of the text is dedicated to their histories. Near the end, we get the history of the men of Numenor, including their downfall and migration to Middle Earth. This leads swiftly into Middle Earth’s more well-known history spanned in The Lord of the Rings. At times, it was hard to keep track of all the characters and places. I constantly had to go back and reread passages and consult maps to make sure I knew what was going on. But, instead of detracting from my enjoyment, it made the experience that much better. I was able to deeply appreciate the depth of Tolkien’s world. There were many stories within these pages that I loved. Particular favorites include the two great trees in Valinor, forging of the Silmarils, the foundation of Gondolin, Beren and Luthien’s love story, and the tragedy of the Children of Hurin. I loved hearing about all Morgoth’s treacherous and all the battles fought to bring on his demise. 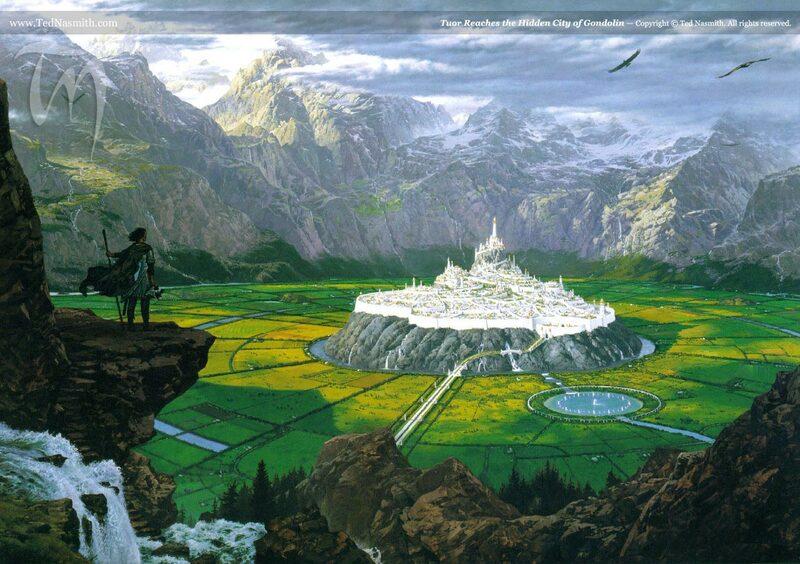 I liked the story of Eärendil, the fate of his sons, and the history of Numenor. It was also fun to see names like Galadriel and Elrond cropping up throughout the stories. The Silmarillion is not for the faint of heart. It’s a challenging read, but a rewarding one. It ignited my imagination and curiosity. I’m now seriously interested in reading further into Tolkien’s world. You Will Like This Book If: You like Tolkien, fantasy, mythology, folklore, rich world building, and a challenge. Because I’m not quite ready to discuss Bleak House (which I finished last night), this week I’ll be revisiting another old favorite–one of Juliet Marillier’s few forays into YA lit. Summary: High in the Transylvanian woods, at the castle Piscul Draculi, live five daughters and their doting father. It’s an idyllic life for Jena, the second eldest, who spends her time exploring the mysterious forest with her constant companion, a most unusual frog. But best by far is the castle’s hidden portal, known only to the sisters. Every Full Moon, they alone can pass through it into the enchanted world of the Other Kingdom. There they dance through the night with the fey creatures of this magical realm. When Cezar’s grip of power begins to tighten, at stake is everything Jena loves: her home, her family, and the Other Kingdom she has come to cherish. To save her world, Jena will be tested in ways she can’t imagine–tests of trust, strength, and true love. This was a book that I read in one sitting my first time through and loved so much that I proceeded to read it two more times in a row. I adore the way Marillier combines The Frog Prince and The Twelve Dancing Princesses with Romanian folklore. If you, like me, are a sucker for fairy tale retellings, this one is top-notch. I purchased this audiobook several years ago and have listened to it countless times since. Last week, I picked it up for another go-around. You may be wondering, though… if I profess to love it so much, why give it such a low rating? Let me explain… I decided to give the story a 3.5 mainly because I’ve grown up since I fell in love with this book. I don’t see the world the way I did when I was sixteen–and, frankly, some of the romance in this story is hard to believe. For the majority of the book, the main love story exists between Tatiana (the eldest sister) and Sorrow, a man from the Other Kingdom. As I listened to their romance unfold, all I could do was roll my eyes–mainly because Tati is underdeveloped and boring, making her hard to relate to. This is countered well by Jena’s love story, but I won’t go into ’cause I don’t want to spoil too many things. I’ve always loved the protagonist of the novel, though. Jena is intelligent, capable, and willing to go to any lengths to protect and preserve those she loves. This time through, I kept wondering… what is her Meyers-Briggs type? I normally don’t try to figure this out about characters, but Jena has always left such a lasting impression that I couldn’t help pin her as a ISTJ. (Full personality description here) After doing some digging, I realized that my prediction was spot-on. Jena is ruled by her sense of duty and follows common sense without fail. One of her main areas of growth is learning to trust her instincts and learn to go by her feelings, not by logic. This struggle is a real one–there are times when I want to reach into the book and shake her. She learns her lessons slowly, which is frustrating because things would be so much better for everyone if she just stopped over thinking herself. All in all, Jena is an enjoyable character to spend time with and, above all else, her growth is the most interesting. Marillier is one of my favorite fantasy writers–I’ll read anything published with her name on it. Even though my original zeal for this book has faded with age, it’s one that I know I’ll always return to. Stop by next week for my thoughts on Bleak House by Charles Dickens!